For many of us at Mason Jar Music, the music of the 1990s was the backdrop to our coming of age. It was our introduction to pop culture and the soundtrack to our middle school dances. This year, continuing our annual Decoration Day cover series, we've asked a few of our favorite local Brooklyn artists to re-imagine a 1990s song of their choosing. Together with the Mason Jar Music House Band, we've crafted this humble homage to a few of the great turn-of-the-century artists, including Smashing Pumpkins, Macy Gray, Cher and Lauryn Hill. 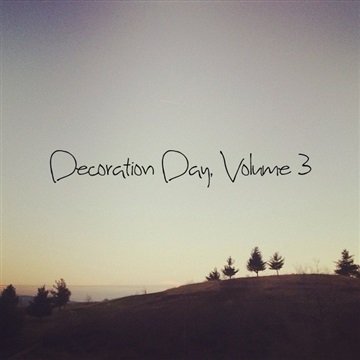 The Decoration Day series began on a whim three years ago after a last minute studio cancellation inspired co-founders Dan Knobler & Jon Seale to record an EP of some their favorite songs. In what has become a celebrated Mason Jar Music tradition, the collective unites friends and collaborators for one weekend each spring to record a group of themed cover songs to be released around Memorial Day. Megan Lui - Harmony vocals on "1979"
Russell Durham - Violin on "1979"
Keenan O'Meara, Stefan Weiner, and Jon Seale - Harmony vocals on "I Try"
Daniel Woods - Guitar on "Sweetest Thing"
Megan Lui, Stefan Weiner, Jaime Daniels, and Keenan O'Meara - Lead vocals on "Only Get What You Give"
Rachel Porter, Brittany Boungirino, Andrew Butler, and Jon Seale - Group vocals on "Only Get What You Give"
Michaela Anne - Harmony vocals on "Believe"
Brittany Boungiorno & Jon Seale - Harmony vocals on "Ain't That Lonely Yet"
Phil Sterk - Pedal Steel on "Ain't That Lonely Yet"
Paul Kowert - Double bass on "My Heart"
Carrie, Katrina, Millie, Bailey, Keenan O'Meara, Megan Lui, Daniel & Jaime Woods, Fox Schwach, Michaela Anne, Flearoy, Twain, Stefan Weiner, Emily Elbert, Seamless, Smashing Pumpkins, Macy Gray, Lauryn Hill, New Radicals, Sheryl Crow, Dwight Yoakam, Cher, Neil Young. And a big thank you to Jason, Zack, Jake, Russell, Phil, Paul, Brittany, Andrew, Rachel, and Jacob for lending your time and talents.